Founded in 1990, ACCORD LIMITED is a Chicago based consulting firm of senior-level consultants, nationally serving a broad range of industries and organizations. ACCORD has assisted over 600 health care, for-profit, and not-for-profit organizations realize their potential - their visions of what they want to become. Whether helping a client create a strategic plan, enhance its governance, or facilitate change, ACCORD's mission and promise is to exceed clients' expectations. Pamela R. Knecht, President and CEO of ACCORD LIMITED, has provided consulting services to a wide range of industries and organizations over her 36-year career. Her clients include for-profit and not-for-profit organizations in industries such as health care, financial services, distribution, retail, professional services, manufacturing, associations, social services, arts, and education. She has deep expertise in not-for-profit healthcare and closely-held and family owned businesses. 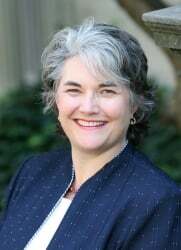 During the last 22 years, she has focused on assisting owners, boards and CEOs across the country with strategic planning; governance education; assessment; restructuring and development; strategic planning; organizational diagnosis and change management; team effectiveness; physician collaboration; and merger / affiliation facilitation. Pam works closely with her clients to custom-design and facilitate processes and events that enable owners, board members and senior-level executives to clarify their mission, vision and goals. In addition, she helps them to develop their organization and their teams to support implementation of their strategic plans and to enhance their efficiency and effectiveness. Pam is a frequent speaker and facilitator at hospital and health system board retreats as well as at local, regional, and national health care conferences. Her presentations to hospitals, health systems, family business centers, associations, and other organizations address issues related to strategic planning and governance effectiveness. She is a faculty member for The Governance Institute, iProtean, and numerous state hospital associations. She served as a faculty member for the American Hospital Association’s Center for Healthcare Governance. Pam has authored numerous articles for AHA’s Trustee Magazine, Great Boards, ACHE’s Healthcare Executive and The Governance Institute’s BoardRoom Press. Her articles and white papers address various aspects of strategic planning and board effectiveness including structure, composition and functioning. Prior to joining ACCORD LIMITED, Pam was a consultant for an executive education and organization development firm that served the Fortune 200. Pam and her colleagues helped CEOs and their direct reports to understand the strategic challenges that would be facing their industry and organization over the next five to ten years. During the previous ten years, Pam consulted within the computer and telecommunications industries where her clients included not-for-profit, for profit, privately-held and publicly traded organizations. Ms. Knecht is a graduate of Smith College in Northampton, Massachusetts, and is a member of the Society for Healthcare Strategy and Market Development and the American College of Healthcare Executives. As the principal founder and Chairman of ACCORD LIMITED, Mr. Kazemek works closely with other ACCORD consultants to ensure the highest level of quality service and to identify creative solutions to the issues and problems facing our clients. Mr. Kazemek has approximately 40 years of experience in the management consulting field serving a variety of industries and types of organizations, including health care, manufacturing, distribution, financial services, not-for-profit, closely-held and Fortune 1000 companies. Before co-founding ACCORD, Mr. Kazemek was a national partner in one of the largest professional services organizations in the United States. Prior to that, Mr. Kazemek was the Chairman of a highly successful national consulting firm, which he co-founded in 1974. Mr. Kazemek’s areas of specialization include: governance assessment, restructuring and development; strategic planning; organizational analysis and development; change management; merger/collaborative arrangements; facilitating integration and effective management in complex organizations. More than 80 articles/monographs written by Mr. Kazemek have been published in professional and trade journals and newspapers and magazines, including the best-selling white papers published by The Governance Institute in San Diego on the board’s role in strategic direction-setting, the evolution of health systems, and addressing growing challenges to an institution’s integrity, and hospital-physician collaboration. Mr. Kazemek is a frequent speaker on a number of business and health care subjects, such as strategic planning approaches, governance effectiveness, change management, merger/collaborative ventures, and organization development issues. He was also on the faculty and one of the Governance Advisors of The Governance Institute in San Diego, California for over 15 years. Mr. Kazemek completed his undergraduate and graduate work in the Behavioral Sciences Program at the University of Illinois, Chicago. He also completed a number of post-graduate programs in organization development and change management, including Cape Cod Institute workshops taught by Dr. Edgar Schein and Dr. Warren Bennis. Barry S. Bader is a Senior Advisor to ACCORD LIMITED. Before joining ACCORD in 2015, Barry headed his own firm Bader & Associates, specializing in the governance of hospitals and health systems. Since 1980 Barry has facilitated board retreats and consulted on governance assessment, improvement and redesign initiatives for hospitals, health systems and other health­ related organizations throughout the U.S. and Canada. Barry is an advocate for governance accountability, integrity and transparency; visionary strategic thinking; streamlined board and committee structures; ongoing board education and active engagement; and a strong relationship between the governing board and CEO. He is the founder of the Great Boards newsletter and website, now published through the American Hospital Association. He also served on the faculty and was Governance Advisor for The Governance Institute. He has served on the Board of Trustees of Suburban Hospital, Bethesda, MD as well as the Board Quality Committee at Phoenix Children’s Hospital. Prior to his consulting career, Barry held positions with the Maryland Hospital Education Institute, the American Bankers Association, the National Civil Service League and the U.S. Equal Employment Opportunity Commission. He resides in Scottsdale, Arizona and northern New Jersey. Barry has served as a Senior Advisor and faculty member for the American Hospital Association's Center for Healthcare Governance and as a member of the Center's National Board of Advisors. Linda Battaglini has over 25 years’ experience in healthcare strategy and governance gained as a Senior Vice President or consultant to complex multi-corporate, not-for-profit healthcare organizations. Linda was Senior VP/Corporate Planner at United Health Services in Binghamton, New York, a $400 million integrated delivery system started through the merger of one teaching hospital and two municipal hospitals. She served as Senior VP Strategic Planning, Marketing and Community Health at Hallmark Health System, formed through a 4-hospital merger north of Boston, MA and she did consulting for a 7-hospital system in Indiana. Ms. Battaglini’s strategic planning work includes merger and affiliation planning and implementation, designing integrated systems of care and care management, facility master planning, financial turnarounds, and designing population health management options for major health systems. She designed a Pioneer ACO application and Bundled Payment Programs for a 15-hospital health system in New York. Ms. Battaglini has recently worked with Emerson Hospital in Concord, MA on a long-term governance development program as well as with boards of other community hospitals, a 600-physician practice, the post-acute care organization in a large health system, and other boards on enhancing their governance structure, skills and operations. Ms. Battaglini earned a bachelor's degree in mathematics from Harpur College of Binghamton University, and a master's degree in accounting from the School of Management of Binghamton University. She has served as president of the New England Society for Healthcare Strategy and president of the Binghamton University Alumni Association. Ms. Susanna E. Krentz is President and founder of Krentz Consulting LLC, a consulting firm focused on assisting healthcare organizations with their business strategy. She has over thirty years of advisory experience in strategic and service line planning, process facilitation, and medical staff strategy for a wide range of healthcare organizations. Ms. Krentz is a frequent speaker and author on healthcare strategy and financial topics. She served as a Board member for the Society for Healthcare Strategy and Market Development of the American Hospital Association. She received the Award for Individual Professional Excellence in 2000 from SHSMD, and The Yale Medal from Yale University in 2010. Ms. Krentz holds her Master of Business Administration from the Booth Graduate School of Business at the University of Chicago and her Bachelor of Arts from Yale University. Prior to founding Krentz Consulting LLC she was the Deputy Director for Health Innovation at Noblis, Executive Vice President of Jennings Ryan & Kolb, and a consultant with Amherst Associates. Over her 20-year career, Karma Bass has been a sought-after speaker, facilitator, and consultant with deep knowledge and experience in governance, strategic planning, philanthropy, quality oversight, health care policy, and board effectiveness. Before joining Via Healthcare Consulting, she worked with ACCORD LIMITED, a Chicago-based consulting firm serving clients nationwide with their strategic planning, governance, speaking and board retreats. She spent two years as president and CEO of Alliance Healthcare Foundation in San Diego, California where she reported to an independent, eleven-person not-for-profit board. Notably, Ms. Bass spent 10 years at The Governance Institute holding various positions including Vice President, Membership Services and Director of Research & Publications. During her time at The Governance Institute, she oversaw the prestigious biennial hospital governance practices survey tracking trends in US hospitals and health systems. During three years at the Hospital Council of San Diego and Imperial Counties, she facilitated the first-ever collaborative community health needs assessment for San Diego’s 32 hospitals, responding to the then-newly-implemented California Hospital Community Benefit law. Her experience gives her a uniquely valuable perspective as a consultant to hospital and health systems boards today. Ms. Bass is board-certified in healthcare management and holds a master's degree in public health with a focus in health services administration from San Diego State University. She received her bachelor's degree from the University of California, San Diego. She lives in Carlsbad, California with her husband and two children. Ms. Tracey Camp is a Senior Consultant with Krentz Consulting LLC, a consulting firm focused on assisting healthcare organizations with their business strategy. She has 28 years of consulting experience in strategic, service line, and medical staff development engagements. She is expert at creating competitive assessments and converting data into meaningful information to support strategic decision-making. She has demand modeling expertise in a variety of inpatient and outpatient services and has a deep understanding of pediatric healthcare. Ms. Camp is a speaker and author on the topics of effective data presentation and competitive assessments. Ms. Camp holds a Bachelor of Arts from Northwestern University. She started her healthcare consulting career in 1987 at Jennings Ryan & Kolb, and continued with the practice after it was acquired by Noblis in 2004. Prior to consulting, Ms. Camp was a technical researcher at the Center for Health Services and Policy Research at Northwestern University. Randall Rollinson is President of LBL Strategies. LBL is a Registered Education Provider of the Association for Strategic Planning (ASP) and a certified veterans owned business. He is a nationally recognized leader in the practical application of strategic management principles, tools and techniques. Since 1985, Randy has served more than 2600 clients in a wide range of industries with practical strategy facilitation, board development and performance management services. He has a special focus on industry associations where governance issues are often a major consideration. Over his career he has specialized in strategic management consulting, teaching and software development. His body of work includes the Integrated Strategic Management Certification Program, which won the 2001 Exemplar Award from the International Association for Continuing Education and Training, as an “exemplary, outstanding results-oriented program.” This online education program is now offered in partnership with George Washington University to help strategic planning and management professionals expand their knowledge, skills and provide a pathway to ASP certification. He is a certified Strategic Management Professional (SMP) and an ASP Pioneer. He recently published a strategic management book entitled Strategy in the 21st Century: A Practical Strategic Management Process. Randy holds an MBA in Management from DePaul University, a master’s degree in rehabilitation counselling and a bachelor’s degree in psychology from Southern Illinois University. He has taken advanced certificate level training from DePaul University in executive information systems and project management. He completed a certificate program in international trade at the World Trade Center of Illinois in 2011. He is a certified Balanced Scorecard Professional receiving his certification from George Washington University College of Professional Studies. He recently completed an Advanced Measurement Certification program from the Balanced Scorecard Institute. He is the past President of the Norwood Seniors Network. He is a Vietnam veteran. He is the current president of ASP – Chicago Chapter. Linda Snell, Director, Governance and Leadership Development and Senior Strategy Consultant, is a BoardSource Certified Governance Trainer. She has exceptional expertise in leadership development, strategic planning and relationship marketing. She consistently initiates and implements programs that increase communication and coordination between and within organizations. One of Linda’s strengths includes the design, implementation and evaluation of programs to build effective board leadership programs and increase good governance practices. She was a key developer of a leadership development program for producer-funded soybean groups and researched how various nonprofit organizations conduct leadership programs. Linda works successfully with leadership and boards of nonprofit organizations to develop and revise bylaws, policies and procedures and comprehensive board manuals. In addition she co-developed and facilitates LBL’s Certificate in Nonprofit Governance program which has been successfully implemented with over 30 nonprofit organizations in the arts, health care, education and social service. Linda has been instrumental in developing effective performance measurement processes and implementation management with organizations. She developed, implemented and provided analysis on a Board Member Individual Self-Assessment to assist individual board membersevaluate their current skills and identify needs to enhance their effectiveness as a board member. In addition she implements and conducts final analysis on BoardSource Nonprofit Board Self-Assessments. Linda worked for the Texas Beef Council as director of industry relations and for the National Live Stock and Meat Board (later National Cattlemen's Beef Association) as the director of state and affiliate services. As a consultant, she worked with all 45 state beef councils, The Thacker Group, Demeter Communications, Lee Hecht Harrison and Agri-West International. Linda is a graduate of Texas A&M University with an Animal Science and Agriculture Economics degrees. She has completed the Certificate Business Administration Program, University of Illinois Chicago and the Certificate in Strategic Management, Association for Strategic Planning. She is a BoardSource Certified Governance Trainer and is a member of BoardSource and Association for Strategic Planning. Doug Maris has over twenty-five years’ executive leadership and strategy experience. As Senior Director of Business Development he developed, launched, and led a strategic management system for a large nonprofit organization with 2,200 employees and $175 million annual budget. He also served as Executive Director for three large retirement communities, responsible for over 600 employees and successful fiscal management of a $10,000,000 annual operations budget. He has many years’ experience assisting non-profit organizations with articulating a strategic & operating plan with a focus on execution and developing key performance metrics. While serving with a large senior healthcare and living non-profit organization, Maris served as project manager/lead for major corporate-wide change initiatives and projects (including integration to electronic medical record platform, centralizing procurement automation and systems, establishing executive team dashboards, creating systems for increasing utilization of rehab service line, and initiating new reporting and metrics systems). Additionally he wrote and executed the business plan to launch a large pharmacy serving multiple campuses throughout Illinois and generating additional revenues for the company. Maris has also led two large churches as senior pastor through significant seasons of growth and outreach via major strategic management and change processes. Additionally, he has taught as an adjunct professor for Lincoln Christian University for over twenty years offering college and graduate-level courses. He is also former 6-year board director with the Abraham Lincoln Memorial Hospital and current second-term board member of the Olympia Community Unit School District #16. Doug uniquely contributes to the LBL team by leading team members and managing operations with a laser focus on operational excellence and improvement. He is an experienced facilitator and exceptional instructor. As a big-picture thinker and problem solver, he desires to support the team to achieve personal and professional success.